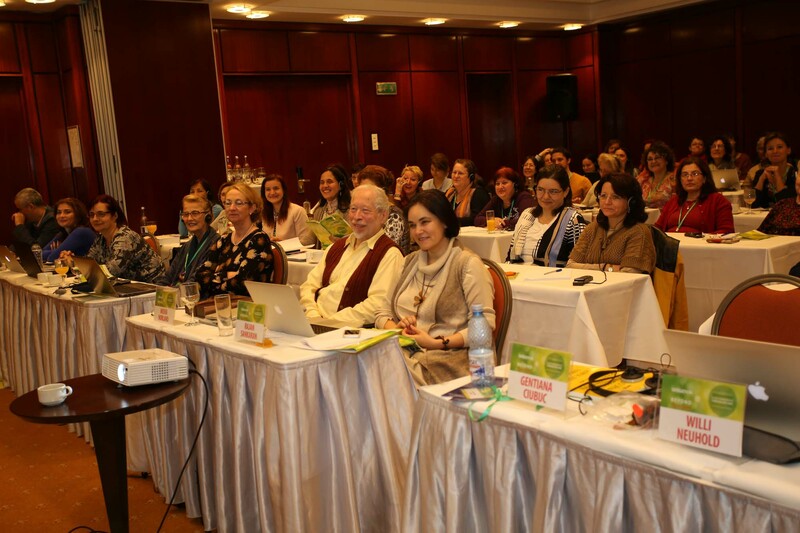 Leading representatives of the sensation method came together for the congress of the World Institute of Sensation Homeopathy (WISH), held in Munich from May 12-14, 2017. They showed how the exploration of traumatic experience at the level of the vital sensation can facilitate deep-acting prescriptions. 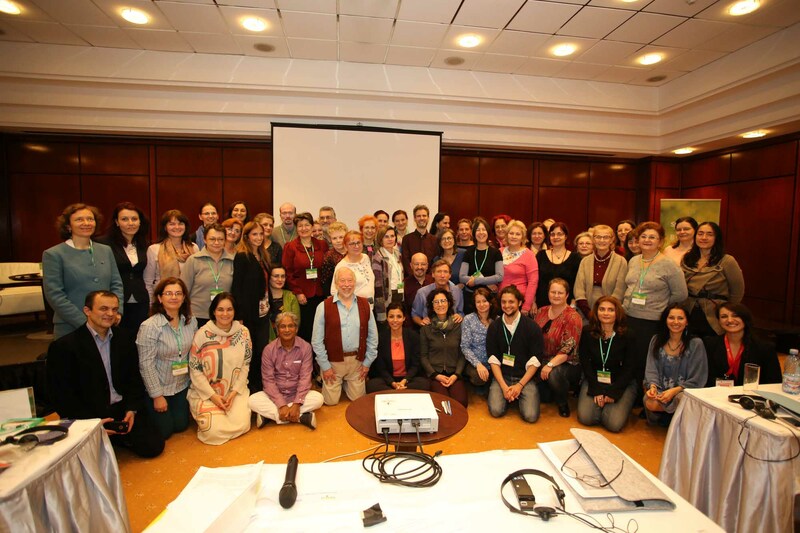 Anne Schadde was the first of the 17 assembled experts from all over the world to address the gathering, with her case of a woman who buried the early experience of her brother‘s death deep inside herself. An innocuous stimulus triggers the surfacing of the deeply buried unconscious trauma, associated with feelings of guilt originating in childhood. The homeopath and psychotherapist explained how the limbic system stores events which can later emerge in an uncontrolled way. Black tourmaline corresponds to the picture of deeply buried emotions, an outer hardness and dogged perseverance. It heals the patient‘s autoimmune disease and the sensation of darkness that she has felt in her life ever since childhood. 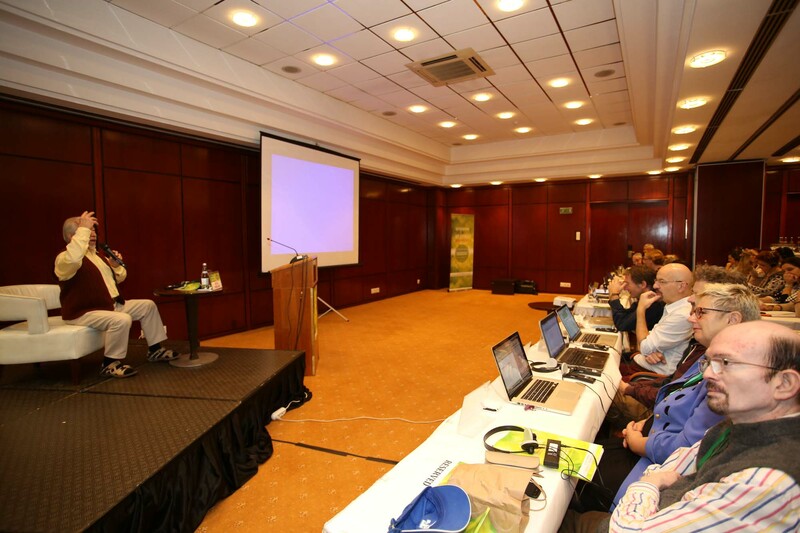 We have just returned from our Romanian ‘WISH Congress’. 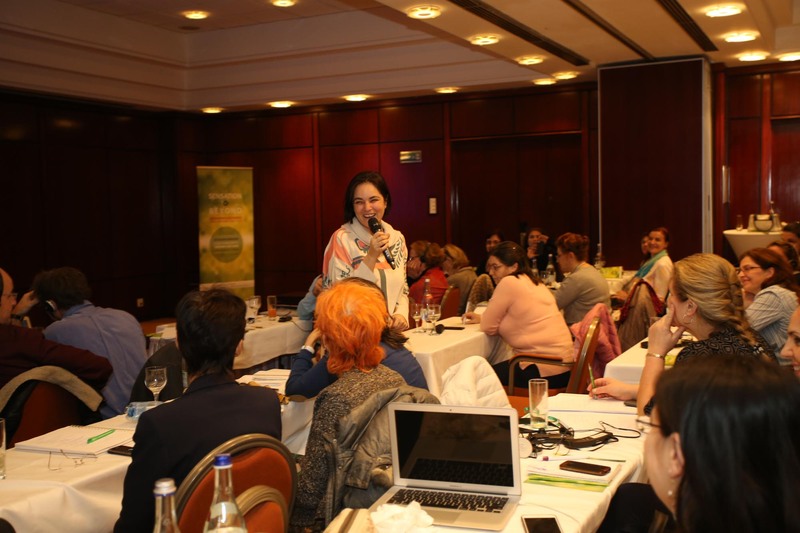 We were each greeted by a lovely, enthusiastic Gentiana Ciubuc, the organizer and seemingly Queen of Homeopathy in Romania. She was our first introduction to the warm, lively hospitality that continued throughout our stay. The seminar began with 2 days of Rajan taking ‘live’ cases after which he joined the group to discuss the analysis, synthesis, remedy and potency choices - pointing out pertinent moments in each case taking process. Afterwards Rajan invited a conversation with the speakers, Misha, Willi, Bob, Mike, and Laurie for their perceptions and insights. 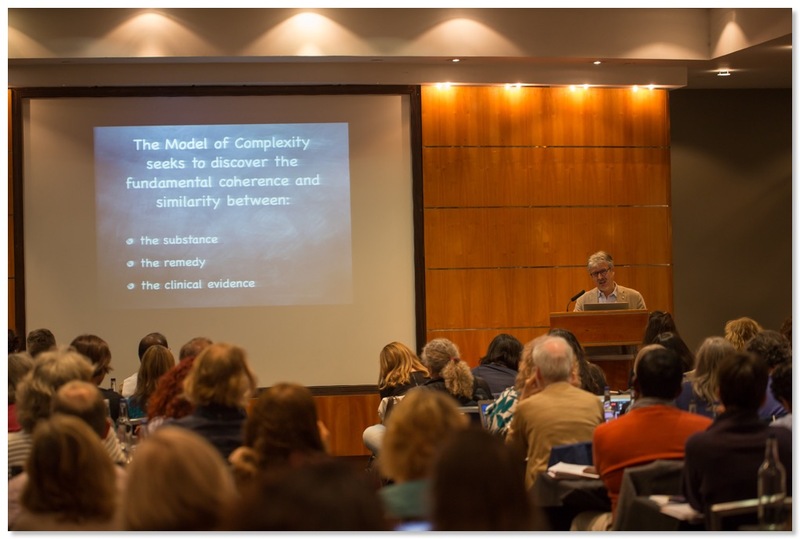 This was an extremely fruitful and intimate sharing…..not only marveling at Rajan’s clear, concise, flexibility in the case, but also adding their input and clinical experiences. This was an open hearted, generous exchange that added so much, was synergistic to the learning process for everyone. 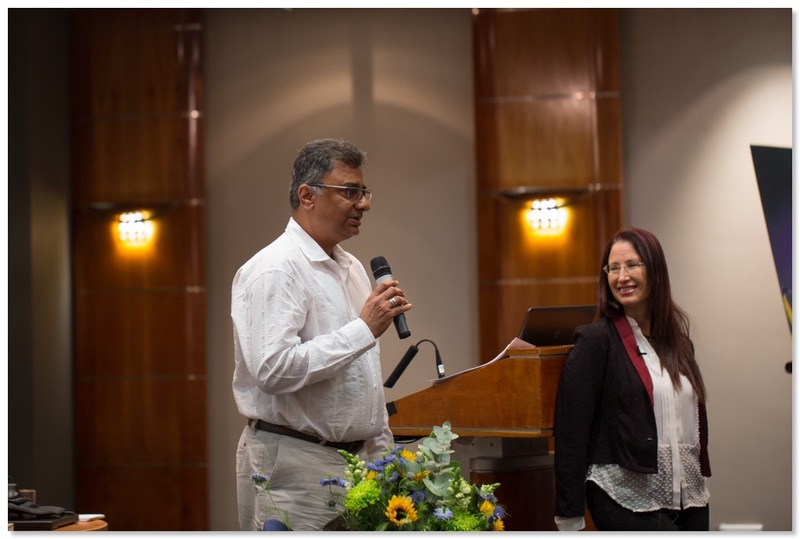 The next two days were lectures from Mike Keszler, Annette Sneevliet, Sujit Chatterjee, Willi Neuhold, Bob Blair, Gentiana Cubic and Rajan, with Misha Norland introducing each speaker. The quality and depth of these case presentations was so impressive. 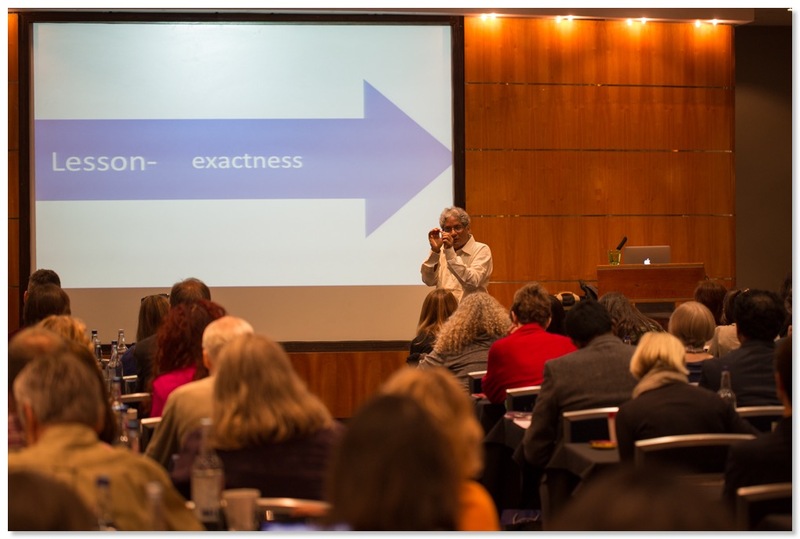 The way that each speaker demonstrated the 'Sensation Method’ in action, in each case, each uniquely executed, truly felt like this was no longer ‘a method’ but an integral part of the fabric of homeopathy. The participants were so very happy with what we brought and our presence. As one of the women told Mike, ‘We are so very thirsty’! The evenings were spent eating together, sharing our lives, jokes, new plant family insights, ideas about the state of homeopathy in the world, homeopathic research and just warm conversation. 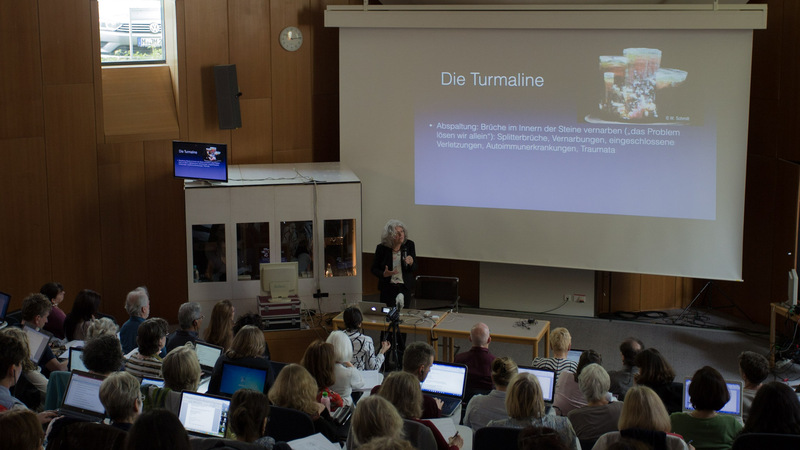 Gentiana and her team created a beautifully organized seminar with quality video recordings so all the proceedings can be uploaded for HOPE (Homeopathy Online Portal for Education). It was a success….from every point of view…. 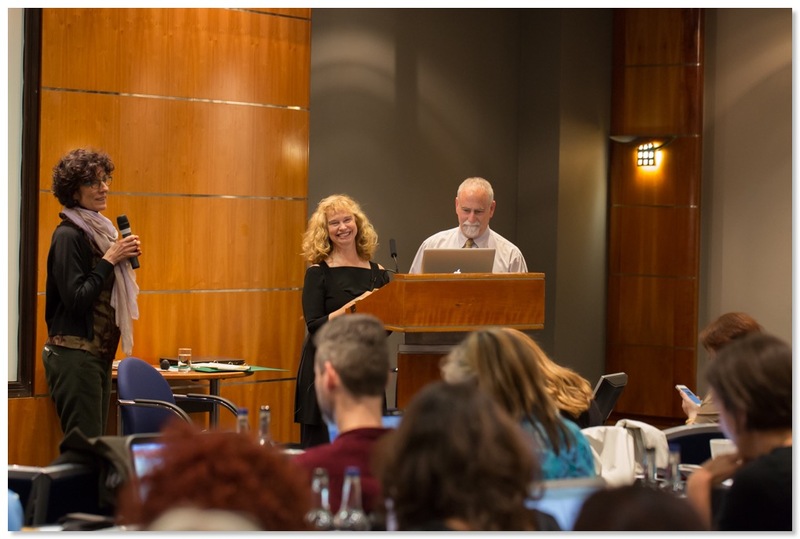 the effectiveness and beauty of the art of homeopathy, spreading the word, bringing and sharing inspiration, community building and a feeling of warmth and optimism. H.O.P.E., an inspiration brought to you by Synergy Homeopathic, is devoted to advancing homeopathy worldwide. 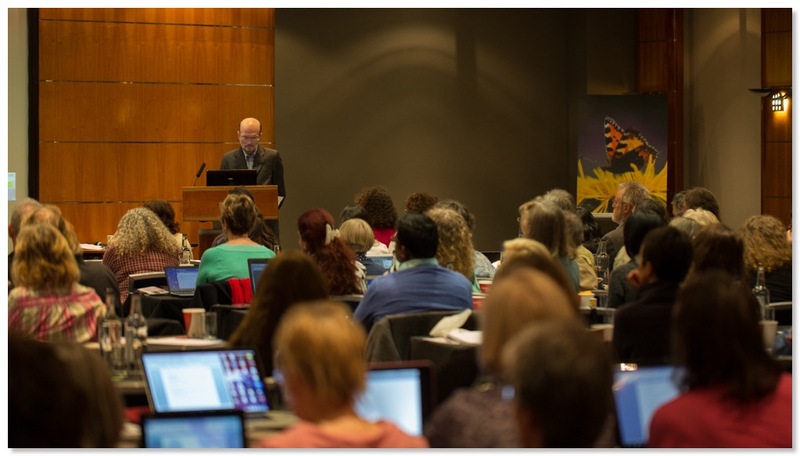 Good homeopaths come from good training. H.O.P.E. 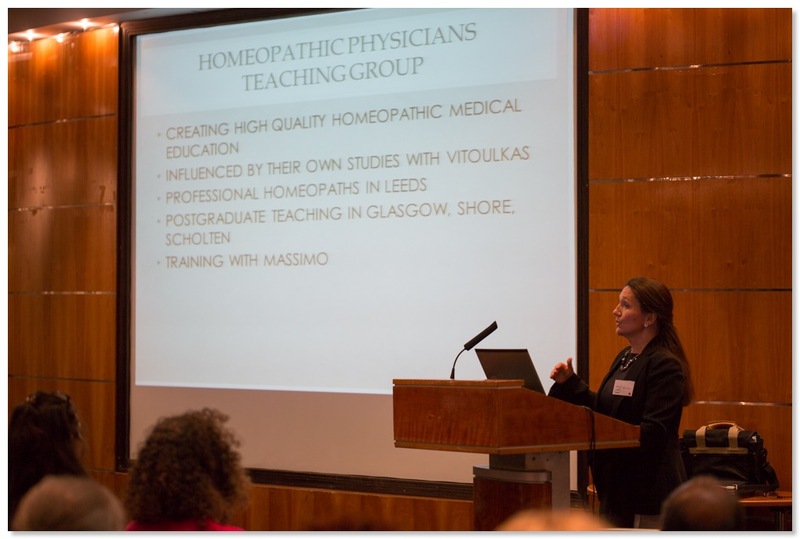 was created to get good teaching right at the doorstep of the aspiring homeopath. 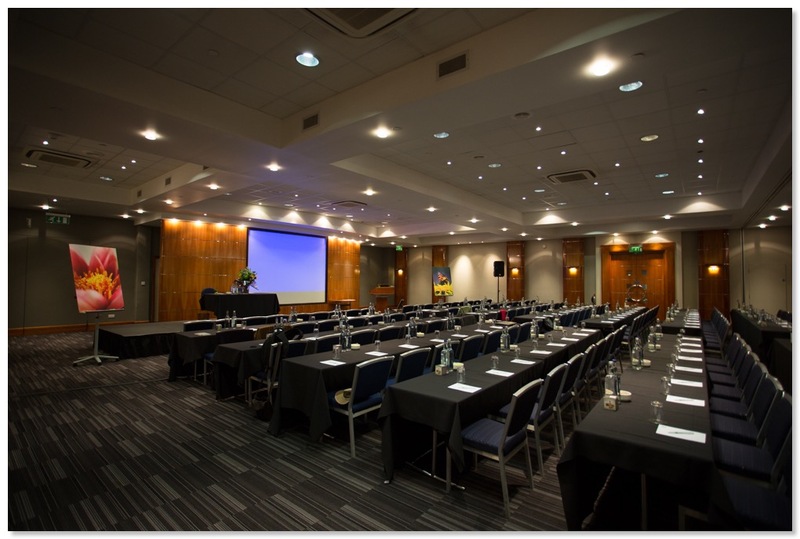 ‘Concordance within diversity’ was the theme of the extraordinary homeopathic event which took place recently, from the 6th to 8th of June, at the Holiday Inn, Regent’s Park, London, organised by the charismatic Pinnacle Seminars trio, Ilana Dannheisser, Penny Edwards and Clare Lincoln; the spectacular line-up of speakers participating in this historic conference was a real coup, reuniting the luminaries of homeopathy in one Meeting Point. 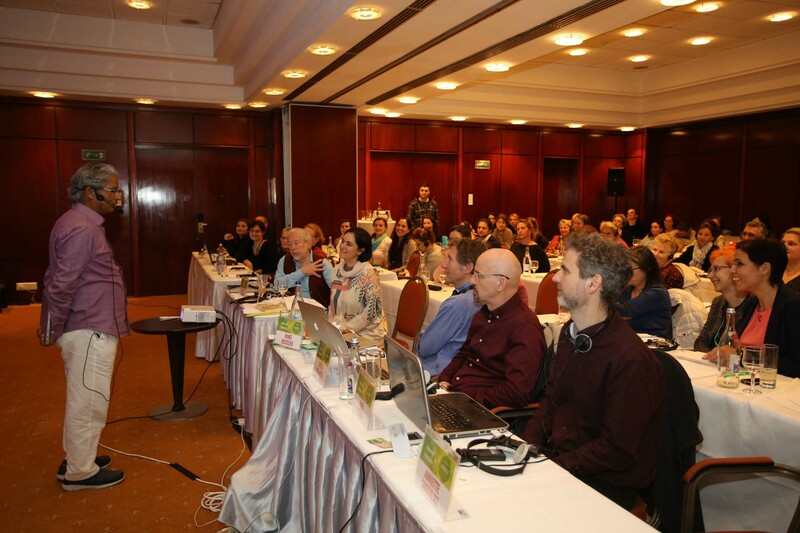 Organised on behalf of the World Institute for Sensation Homeopathy (WISH) the conference followed its successful 2012 Congress in Freiburg, a purely Sensation orientated event, attended by around 500 delegates. 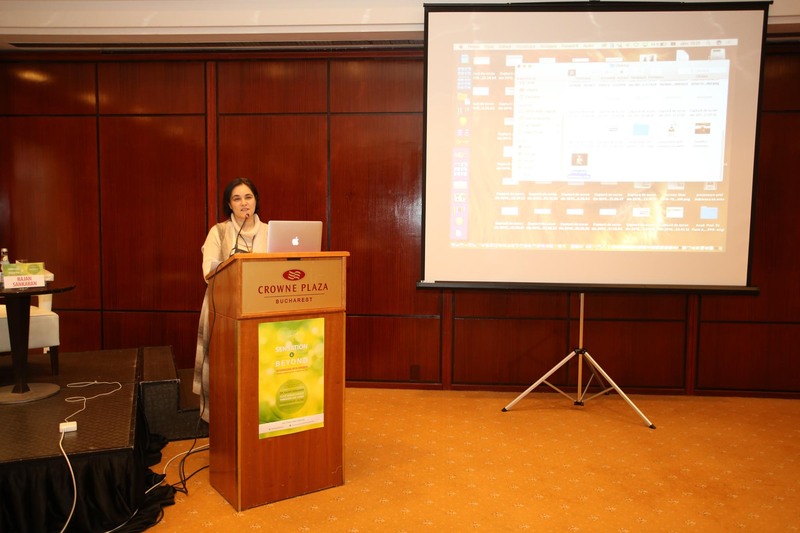 However, the growing acknowledgement that homeopathy, like other constantly evolving sciences, thrives best from openness of mind, diversity and innovation, led to the concept of a conference showing the interconnectedness of the Sensation Method and other classical methodologies. The message was that we are all united in our understanding of the nature of disease and cure; although there are diverse ways of approaching the simillimum, the various methods available to us are best seen as supporting, complementing and even synergistically completing each other, as they converge on that simillimum, their focal meeting point, the goal of our endeavours. The speakers, who had flown in from far flung corners of the globe, all gave generously of their time, speaking for free, in a show of solidarity and support for homeopathy at a time when it is heavily beset by external opposition, with UK homeopaths in particular having been targeted by a sustained campaign of hostility; the entire proceeds from the event are to be put towards funding homeopathic education and research, as well as the general promotion of homeopathy, particularly within the UK. 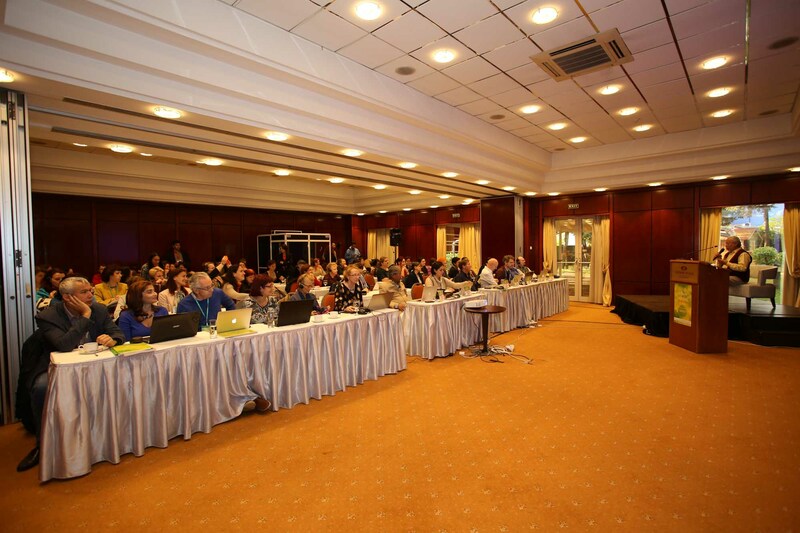 Misha Norland, the current WISH President, opened the conference by saying that this is a crucial time for homeopathy, with orthodox medicine being in serious trouble as the efficacy of antibiotics dwindles day by day in the face of bacteria which continually evolve and mutate. He emphasised the need for homeopathy to evolve, pointing out that humanity itself is faced with a similarly stark choice: “evolve or die”. He concluded with the words “Cooperation, Integration and Evolution” and an appeal for “the practice of good science within our community”, based on these principles. Joint pain aggravated before monsoon. A lot of sneezing and allergies. A lot of fear: as a child was very afraid of the dark and of being alone; he would hide under the covers to be out of sight. There is also a fear of poverty. The crisis moment came after he married. He was an only son and he and his wife lived with his parents in a small village, but his wife wanted to move away to the city. She eventually attempted suicide twice, leading to a crisis in the patient’s life. He was constantly feeling that people would come and arrest him and his parents; he was constantly afraid of what people would think or say about him and he would go and hide. Along with this he had a feeling of heat in his ears, a flushed and pulsating sensation. meli, sep, ars, bell, bry, staph. Rajan explained that of the remedies listed Melilotus alba (Meli.) caught his attention as one he did not particularly know, and he emphasised the need to then study such an unknown remedy. In this case, as in many others, the reward comes with finding in the remedy picture an exact match for the patient’s case, from the peculiarities at the mental level through to the physical peculiarities. The main emphasis in both patient and remedy is ‘I am safe as long as I am not seen and not heard’. Melilotus Alba was given successfully; the patient improved in every way, and in the process of cure there occurred a transient return of a few symptoms from childhood. Rajan’s Melilotus case provided a salutary lesson in the need for an accurate evaluation of symptoms, a theme soon taken up in a recorded lecture by Professor George Vithoulkas. 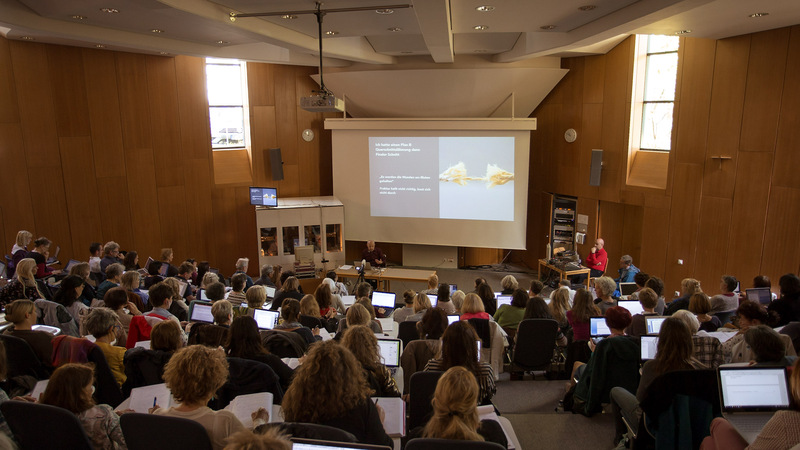 A seminal moment took place after the lecture when George, grandfather of modern day homeopathy, joined us via webcam from his academy in Alonissos; after many speakers present had paid their respects to their colleague and teacher a live question and answer session ensued. Much emotion, humour and humility was expressed in these exchanges, culminating in a message of unconditional love from George towards his fellow homeopaths, as any philosophical differences were laid aside. The professor received a standing ovation from the entire audience. Dr Elizabeth Thompson of the Bristol Homeopathic Hospital talked us through several cancer cases, stating how she often encountered the separation in such patients’ vitality, along with their fear, as presenting a blockage to being able to explore such cases as deeply as she would like to be able to. 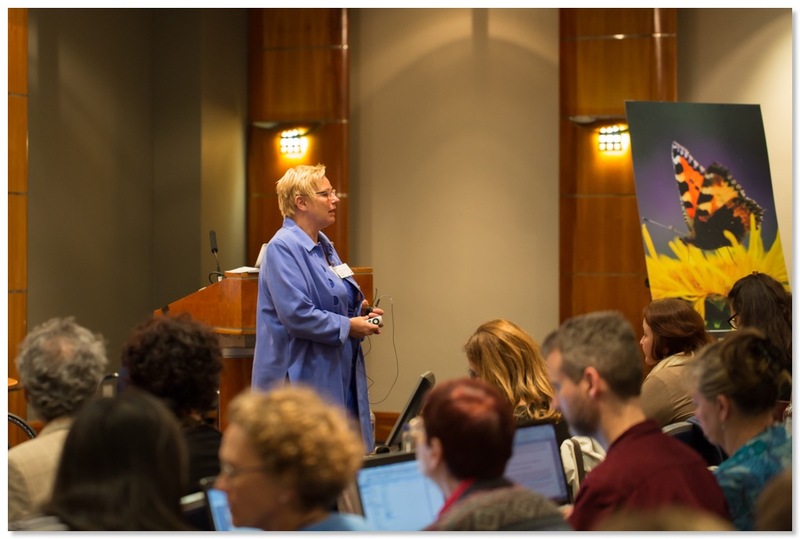 She demonstrated how Rajan’s concept of the seven Levels of Experience proved to be an invaluable tool in casetaking, allowing you to go as deep as you can while still knowing exactly where you are in the case. Her presentation allowed the audience to see how material from a diversity of teachers, even those with quite different approaches, including Rajan Sankaran, Jeremy Sherr, Jan Scholten, Roger Morrison and Tinus Smits, can all be integrated in one’s practice to produce immensely gratifying results, with wonderful consequences for one’s patients. 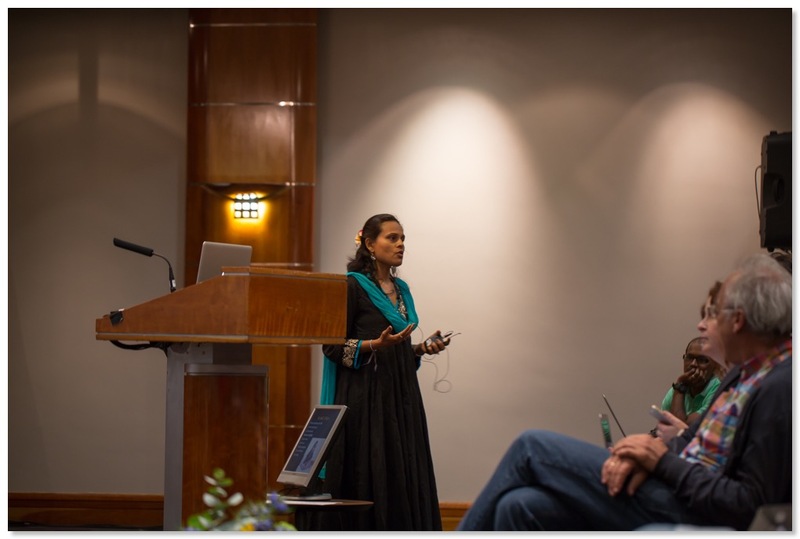 Dr Jayesh Shah allowed us to witness an astonishing demonstration of a meditative healing process, showing us the case of a woman crippled with rheumatoid arthritis and a multiplicity of other autoimmune disorders and degenerative conditions. We witnessed her experience of being in the moment, on video: her sensation of swimming in a warm lake, feeling the warm sun, being carried and cradled, feeling safe, free from constrictions. Jayesh highlighted the polarity in the case of contraction or constriction versus expansion, going on to say that this had led to a prescription of Cannabis indica, but also explaining that “the life force can resonate with many things which are similar, even an experience which can be healing”; having been carried into the consultation she left walking, her life force having already experienced a form of simillimum! 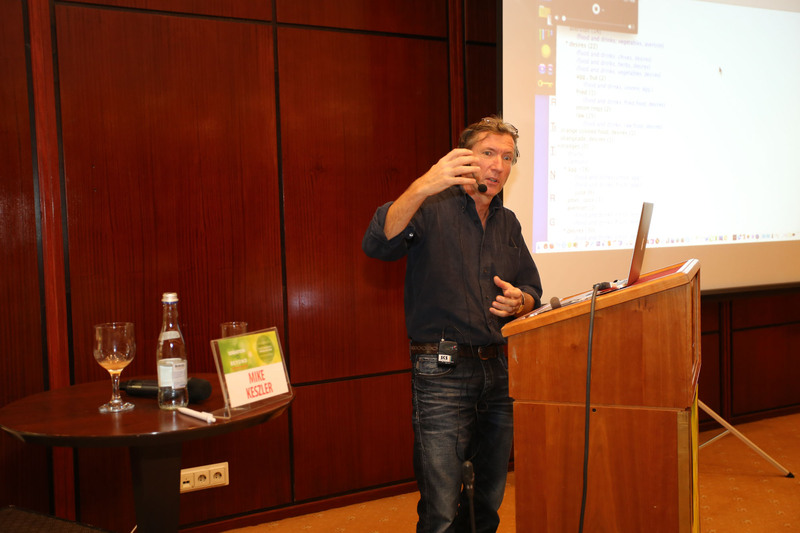 Juergen Weiland introduced a case of Amethyst with a woman who said she was “emotionally frozen”, “collapsing into myself”, and “deserted by everyone”, while being “totally rigid” and “unyielding… unwilling to change the situation”. While this case bears the hallmarks of the Mineral Kingdom, with its themes of order and structure, and a perception of the issue being one that lies within oneself, it also served to introduce Juergen to the Vital Sensation of the gemstones: being encapsulated, hiding and withdrawn, often in a deep state of grief, or else breaking open. Having learned about Amethyst from this case Juergen explained, with case examples, how he had subsequently been able to apply it in the field of paediatrics, one of his fields of specialism; since Amethyst is a variety of quartz, and hence composed of silicon dioxide, its homeopathic picture bears some close resemblances to Silicea, with extreme bashful timidity, as well as recurrent ENT infections and adenoid problems. His cases have shown it to have clinical applications with regard to both autism and retarded speech development, even mutism, (whether related to issues of hearing or issues of mental development). Dr Michal Yakir, botanist, gardener, teacher and researcher gave a fascinating account of how the Plant kingdom can be mapped out along evolutionary lines, with the evolution of successive taxonomical groups (orders and families) of flowering plants mirroring an individual’s evolution and development, with particular reference to the different stages of the construction of the ego, in a similar way to the map provided by the rows and columns of the mineral kingdom’s periodic table. Michal talked us through the chart that lies at the heart of her system and many in the audience were excited at the news of her book becoming available in English later this year. 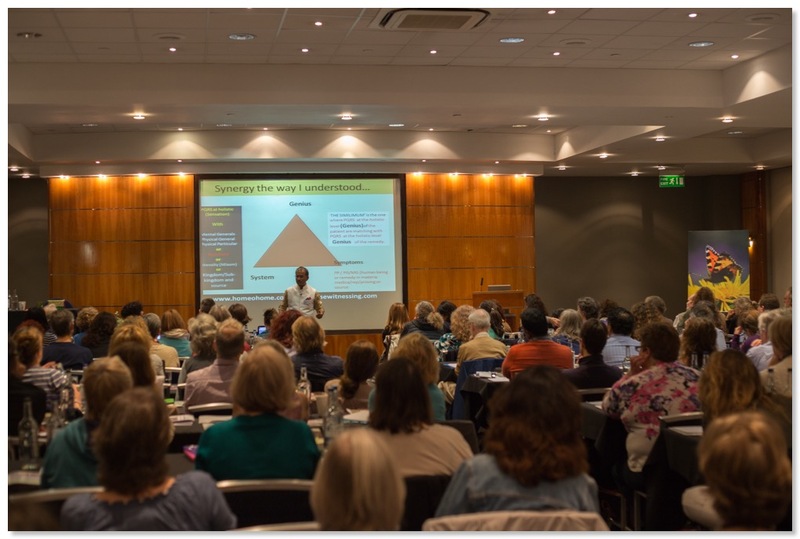 Dr Mahesh Gandhi, eminent psychiatrist and practitioner of the Sensation Method, then proceeded to tell us how he had enthusiastically incorporated Michal’s work into his own practice. He presented a case of a bipolar young man, whose determined efforts to study in order to fulfil his aim of becoming a doctor, like his father, were punctuated by lows associated with extreme exhaustion, which would then completely prevent him from being able to study. The young man did remarkably well on Coca, and Mahesh provided repertory rubrics and symptoms from materia medica in support of this prescription, before going on to explain how the Sensation and Reaction seen running through the case at its deepest level corresponded to those identified by the Sensation Method’s schema as being the core experience shared by all members of the plant order Geraniales, to which Coca belongs: prolonged exertion, for which endurance, perseverance and stamina are needed, which can then give way to exhaustion and prostration. However, Mahesh went on to inform us that this order belongs to Michal Yakir’s 5th subclass of dicotyledons, the Rosids, a group which itself bears a close resemblance to the Ferrum series, or Row 4, of the periodic table, with an emphasis on work and career, the development of masculine qualities needed to go out and make one’s way in the world, to take on responsibilities and support oneself, and of the corresponding need to control and even suppress one’s emotions, leading to the development of the superego, hence bringing in concepts of right and wrong, laws and limitations, and, in the case of the Rosids, the idealization of the father figure. While it was fascinating to see how such different paths could all lead back to the same simillimum it was Mahesh’s intention to point out that this is of course how it has to be! Dr Dinesh Chauhan’s case of a boy who wouldn’t speak was a major tour de force as we watched this tortured teenager slowly emerge through Dinesh’s clever and gentle coaxing; he was able to gain the boy’s trust by literally mimicking his gestures and attitude in a “scientifically intuitive case witnessing process.” The boy felt so liberated that he didn’t want the consultation to end! This was proof yet again that new methods and traditional wisdom applied together can create remarkable results; the patient received Stramonium, it having become clear in the course of the casetaking that the recurring problem was one of becoming absolutely frozen in terror, to the point of being unable to utter a single word. Dinesh’s other video case showed us how much fun can be had in the consultation when one is truly present to a child’s vital energy and able to enter into close resonance with it! 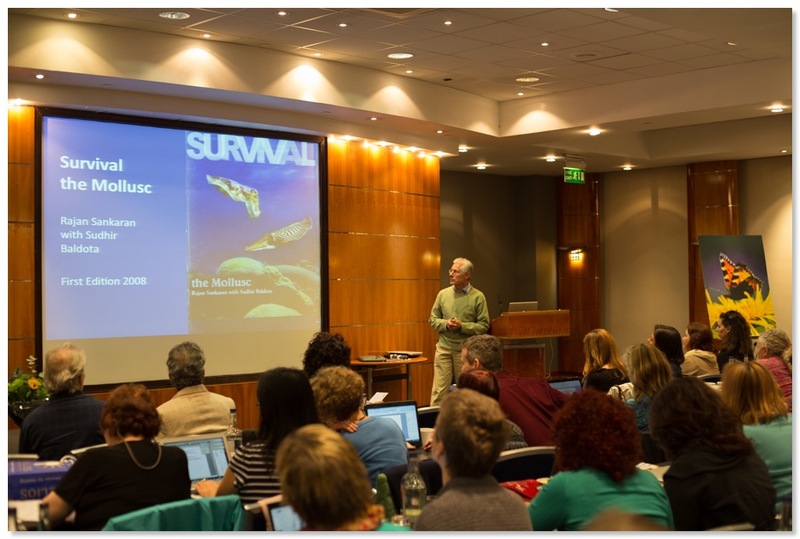 Dr Jonathan Hardy took us on a journey into the Sensation Method, as applied to the three main mollusc classes. He commented of one woman, as she expressed her need to retire into her own little world, where everyone was breaking little pieces off of her, that “she talks beautiful nonsense”, meaning that that which is expressed from the very depths of one’s inner experience makes no logical sense when viewed from the human perspective, but instead fits beautifully with the experience of the source in nature from which one’s simillimum is derived. His cases did indeed narrate beautifully the whole life process and survival strategy of the molluscs, with patients’ accompanying hand gestures repeated in different contexts denoting just how deeply the experience from which this story emerged was ingrained into their subconscious being, colouring their interactions with the world around them and their interpretations of events. His Octopus vulgaris case provided a wonderful example of the kind of fluidity that can be seen in Cephalopod cases, as compared to those of Gastropods and Bivalves, which place much greater emphasis on the need to curl up and retreat inside the protective barrier of one’s shell, where one feels cosy and safe. 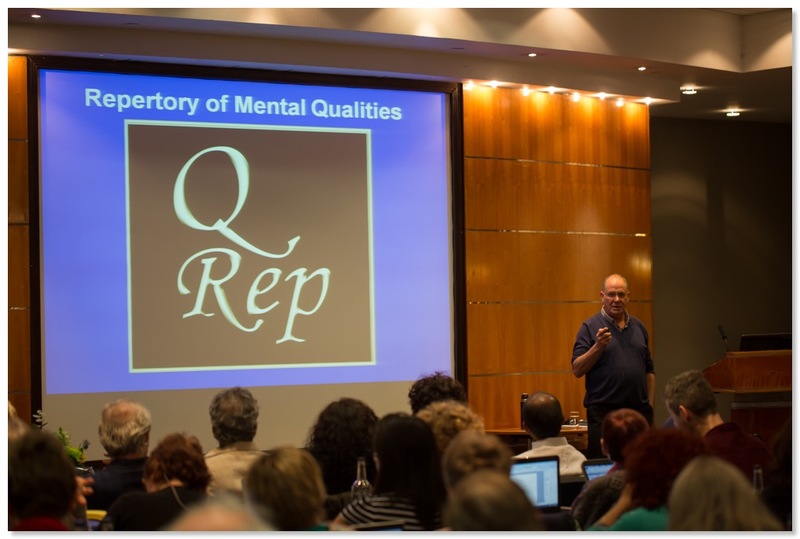 Jeremy Sherr introduced us to his Repertory of Mental Qualities, or ‘Q-Rep’, which functions as an all-inclusive repertory of generalised Mind themes. Any remedy with any issue around money, for instance, from fear of poverty through to avarice, covering hundreds of rubrics in between, will all be found in the one rubric ‘Money’. He showed us how by accurately identifying three or four such issues or themes in the patient, and using the appropriate Q-Rep rubrics, along with one or two fair-sized physical rubrics, again typically of a quite general nature, you end up with a manageable list of remedies to sort through, despite the large size of these rubrics. In fact for Jeremy large rubrics are preferable to small ones from which the remedy you are looking for may have been missed out. Most important to Jeremy’s way of working is the need to form a Synthesis of the case, a short sentence reflecting the duality of Sensation and Function pervading the entire case history, the story and the symptoms, the mentals and the physicals, before launching into this repertory-based analysis. Once the repertorisation has generated a list of remedies that cover the important aspects of the case it is then simply a matter of scanning this list with the lens of your Synthesis to find a remedy which fits it… a task which evidently gets easier the greater one’s knowledge of Materia Medica grows; Jeremy’s answer to this difficulty mirrors the advice given earlier to aspiring homeopaths by George Vithoulkas: take time and study! Jeremy was able to give further examples of his approach, which essentially consists of matching proving information to the patient’s symptoms, while always adapting to the individual circumstance, by means of HIV cases from his charitable research project in Africa… cases where his experience has shown that there are generally few mentals to consider, if any. Dr Massimo Mangialavori, whose clinical research methodology takes solid information gleaned from cured cases to produce reliable repertory additions, talked about his “method of complexity in homeopathic medicine.” He described how he uses fundamental themes to build a picture of both patients and remedies or even families of remedies; by presenting a case of Lac loxodonta africana (African Elephant’s milk, proved by Nancy Herrick), followed by one of Lac asinum (Donkey’s milk), he demonstrated how the same or similar themes, such as abandonment, can be repeated through all mammal remedies, yet we are able to differentiate between the remedies in that group by seeing how the patient relates to each of these issues and how these themes relate to each other, and are associated with further themes and features, such as victimisation, bitterness and stubbornness in the case of Lac asinum. He also commented that in his experience a patient’s fundamental themes remain the same in spite of treatment, meaning that after having responded well to a remedy any subsequently indicated remedy must have some kind of relationship to the previous one, a theme later picked up on by Bhawisha Joshi’s presentation. Nancy Herrick and Roger Morrison showcased the Leprosy miasm which they illustrated with several video cases where the main themes of Disgust, Isolation and Worthlessness had resulted in such prescriptions as Sepia (one of the most common remedies in the Leprosy miasm they told us), Ambra Grisea, Lac Felinum, and, perhaps surprisingly, Psorinum. It was amazing to witness the remarkable transformations the patients had undergone following the administration of their simillimum. Roger and Nancy spoke of how the Sensation Method’s inclusion of a remedy within a single miasmatic classification, rather than several, had made the whole concept of miasms become one of great practical utility for them, they having previously regarded it as being of dubious relevance. Their forthcoming book seeks to give a clear exposition of each of the Sensation Method’s ten miasms, illustrated by their own clinical experiences. Dr Annette Sneevliet presented a remarkable case of Crotalus Cascavella with a psychopathic 28-year-old man whose constant thinking was of hurting, killing or sexually abusing people he liked; he talked about urges that gave him pleasure. He had thoughts of suicide and had become interested first in Buddhism and more recently in witchcraft. He described his feelings as “shooting up inside him, strange feelings which come up, shoot up, surge and explode”, gesturing upwards from his solar plexus and pointing all his fingers together in a snake-like figure. After the remedy was given the patient declared that he didn’t want that sort of power over people anymore and he started to express anger openly and directly at his brother for the first time. Annette commented that she had frequently encountered in snake patients this kind of a description of aggressive energy surging upwards, accompanied by hand gestures that can be seen to mirror the way cobras and other snakes raise their heads and the front portion of their bodies quite far off the ground in preparation to strike. Larger than life Vega Rosenberg advised us on how to protect ourselves from the effects of radioactive material which continues to be released into the environment from the nuclear reactors at Fukushima, by excluding fish from our diet, drinking water filtered by reverse osmosis and, when called for, using the radiation remedies he introduced us to. He gave us an example of the instant effect of Technetium on what he perceived as a case of radiation exposure from flying through the now radionuclide-laden stratosphere of the northern hemisphere, asking Michal Yakir to come forward and testify to the fact that she had felt as if she was “falling apart” after her flight, and that she had hence not been sure that she would be able to deliver her lecture. She stated that she had recovered literally within minutes of receiving the remedy, enabling her to go ahead and deliver her stunning lecture, while giving no indication that she had previously felt so unwell. He informed us that indications for remedies prepared from radioactive sources, such as Uranium nitricum, included a feeling of having prematurely aged, impaired memory, diminished eyesight, and a generalised slowness and weakness, with weakness often affecting the legs in particular; the feeling of “falling apart” is quite characteristic of these remedies. Dr Sujit Chatterjee, known for his intensive work on cancer, highlighted the need not to be put off by the use of chemotherapy and/or radiotherapy in cancer cases, but to treat the patient with the selected remedy, or remedies, alongside these conventional protocols. He encouraged the use of LM potencies in cancer cases, allowing us to treat the patient little and often, while also advocating the simple and effective method of plussing centesimals. Sujit, who proved the remedy Uranium nitricum, presented a case in which he said this remedy “took the patient from having no desire to live to having the will to live”; it can be indicated when there is a great fear of chemotherapy accompanying despair and hopelessness regarding the cancer itself. It became clear listening to Sujit’s presentation that his successes in such cases are the product of a certain flexibility of approach, including a willingness to change remedy in response to the changing picture, coupled with an extensive knowledge of the range of remedies that have particular relevance both to cancer and to its conventional treatment. Dr Bhawisha Joshi demonstrated how she draws on her knowledge of kingdoms to recognise the behavioural response of the patient to their environment and thus select the remedy from the relevant kingdom needed “at the moment”, with Minerals being indicated by a focus on one’s inner power or capacity, Plants by their being affected or overwhelmed by any perceived stimulus, and the need for Animals being betrayed by their comparison between the capacity and strength of the outside world versus their own inner strength. Accrued clinical experience has led Bhawisha and her husband, Shachindra, to develop a table of correspondences between the different kingdoms, mapping different animal remedies, for example, onto the different rows of the Periodic Table. They have seen that even though a patient’s overall pattern may not change over time, the kingdom this pattern is expressing itself through can, calling for a different but related remedy; their map allows them to quickly start looking in the right area within a different kingdom for an analogous remedy, along lines alluded to by the great James Tyler Kent in his lecture on Naja. Dr Jan Scholten explained his recently published plant theory via video link, introducing us to his way of working with this extraordinarily ordered and detailed system of old and new plant remedies organised into their taxonomical families and orders; the systematisation of this vast kingdom has gone further in creating an extended Materia Medica adapted to the problems of our time, and he neatly demonstrated how his approach can lead to a greater understanding of the Plant kingdom, and a huge increase in the accessibility of its remedies, thereby resulting in even more successfully individualised prescriptions. As the event came to an end Rajan Sankaran addressed us to discuss Synergy. Visit the website of Narayana publishers for more details and sample videos.